I thought this was an interesting book. It was a little out of my norm to read this book but sometimes it is good to try something new. 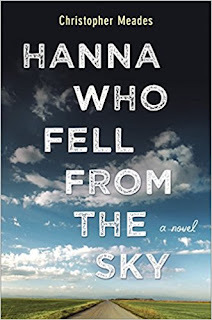 This book gave me a look into a different world in which Hanna has had to live. Hanna was a good girl in wanting to take care of her sister but at the same time after hearing stories from another family she wants to leave. How to choose? The author did a good job with his many descriptions from the places and people to the emotions the characters were feeling. His writing style was smooth and easy to read.